Participants from various sectors of the Association of Southeast Asian Nations (ASEAN) – particularly from the academe or education sector – are expected to converge in the Philippines for the 6th ASEAN Universities International Conference on Islamic Finance (AICIF). The Mindanao State University (MSU) System – under its president Dr. Habib Macaayong – is hosting the conference. It is staged annually – with the host rotated among participating universities. He is expected to deliver the welcome address as well as the conference overview to set the course of the event. Participating universities are the International Islamic University, Malaysia (IIUM); Tazkia University, Indonesia; Universitas Darussalam Gontor, Indonesia; Universitas Islam Negeri Sunan Kalijaga, Indonesia; Sultan Sharif Ali Islamic University, Brunei Darussalam; and Universitas Islam Sultan Agung, Indonesia. Malaysia’s International Council of Islamic Finance Educators (ICIFE) will be the Secretariat. The organizers of the event have invited President Rodrigo Duterte as keynote speaker, who will be represented by Secretary Benjamin Diokno, head of the Department of the Budget and Management (DBM). On the second and final day, Malaysia’s Minister of Education Yang Berhomat Dr. Maszlee bin Malik will deliver the keynote speech. Speakers will cover various subject areas that include Islamic Banking and Capital Market; Corporate Governance; Money Payment System and Financial Innovation; Takaful and Risk Management; and Islamic Social Finance. After the recent five-month Marawi siege that devastated the Muslim city in the Autonomous Region in Muslim Mindanao (ARMM), the AICIF’s holding in the country proves timely and relevant, particularly that its plenary session one will discuss and explore ways for the Philippine government to consider harnessing Islamic finance-backed schemes to raise funds for rehabilitation and rebuilding of the city, with over 400,000 of its residents forced to flee their homes. The participants include academicians; practitioners; researchers and regulators; international business leaders who offer Islamic financial products; policymakers; political leaders; senior government officials from countries that have adopted Islamic finance; technology company C-level executives; business development managers; innovators in the financial technology (fintech) sector; ethical finance leaders; business specialists and managers; mid-level management executives; business development manages, analysts; risk professionals in Islamic finance sector; Shari’ah scholars; advisors; lawyers and other legal experts. The conference will focus on banking leadership opportunities and asset management best practices, thought leadership from leading strategy consultants, with panel sessions covering small and medium enterprises (SMEs) and entrepreneurship, the impact of fintech innovation, sovereign Sukuk (Islamic bonds), building the ecosystem to finance sustainable infrastructure, blockchain technology, and its possible application in the Islamic finance ecosystem. 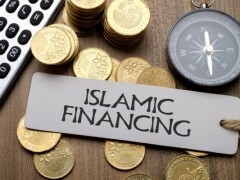 There will be five plenary sessions which include 1) Sukuk Financing: A Viable Strategy to Finance Sustainable Development; 2) Financial Innovation in Application to Islamic Finance; 3) Potentials of Islamic Finance; 4) Comparative Regulatory Framework among Southeast Asian Nations; and, 5) Challenges of Shari’ah Compliance, Disclosure and Regulating Form. There will also be parallel sessions as well. Partners for the conference include the Southeast Asian Islamic Chamber of Commerce and Industry Inc. (SAICCI) and Philippine Association of Islamic Accountants (PAIA).